The world’s leading study destination for international students, the US boasts over 150 leading universities in the QS World University Rankings®. The latest figures show that more than 1.18 million international students were studying in the US as of 2017, 77 percent of whom come from Asia. 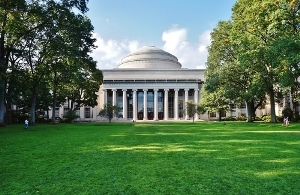 According to the Institute of International Education’s Open Doors report, the most popular states for international students were California, New York and Texas, while the most popular subjects were engineering, business and management, mathematics and computer science. The academic year in the US is usually split into two semesters, with the fall (autumn) semester beginning in mid to late August and ending in December, while the spring term runs from January to May. Depending on where you’re from, you might find the academic terminology slightly different to what you’re used to. There is no shortage of top universities in New York either, including Columbia University (ranked 16th in the QS World University Rankings® 2019) and New York University (43rd). High-ranking universities in Chicago include the University of Chicago (ninth in the QS World University Rankings 2019) and Northwestern University (just outside the city) at 34th. Other strong options are the University of Illinois at Urbana-Champaign (71st), the University of Illinois, Chicago (UIC) (joint 214th), and Illinois Institute of Technology (joint 426th). The universities in San Francisco and the Bay Area which surrounds it include two of the world's most prestigious and best-known: Stanford University and the University of California, Berkeley, ranked second and 27th respectively in the QS World University Rankings 2019. The intellectual might of this pair has massively contributed to the area’s wealth, which is largely founded on the renowned technology hub known as Silicon Valley, home to high-tech corporations such as Apple, Facebook and Google. If you’d rather be exercising your mind than your body, there are plenty of prestigious universities in Los Angeles, including the University of California, Los Angeles (UCLA), 32nd in the QS World University Rankings 2019. Worth a look if you want to combine studies with star-spotting! Bring to the interview your acceptance letter; proof you’ve paid the required fees and completed the relevant forms; the Form I-20 or Form DS-2019 to demonstrate your eligibility; and a passport which doesn’t expire until at least six months after you complete your degree, unless you’re exempt due to country-specific agreements.